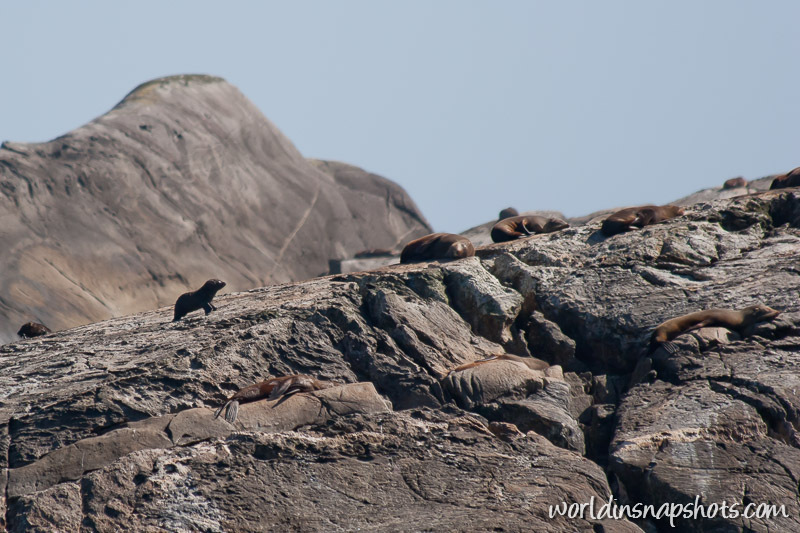 Fur seals sunbathing at Doubtful Sound – the second largest of the 14 fiords in Fiordland, New Zealand. I hope you’ll get to NZ in near future. It is very beautiful country. I remember seeing this site on my visit to NZ right out of university. Love the seals – it’s the smell I can’t stand. Great shot! I’ve been to NZ many many years ago, and would love to go back. Welcome to Travel Photo Thursday! Lucky shot! I probably would have missed them, they just blend right in. I love seeing Seals! Your previous commenter made me realize there were many there! I had to look twice. Nice shot.